Attention all Students and Teachers! We need you….and your Backpacks! 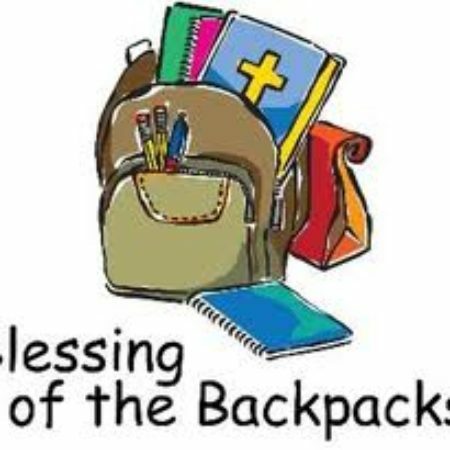 Join us on Sunday, August 26th as we send our children and youth to school with backpacks full of blessings. This blessing of the bags serves as a reminder that God is always with us, even at school, and He will help guide us through the ups and downs that come with every school year. Each year, we work with artist, Suzanne L. Vinson of Silver Tree Art to design backpack buttons and teacher blessings that share thematic blessings across our ages with our students. Invite your children, grandchildren, neighbors, and friends to join us.